These shortcuts can be used in SharePoint Online, SharePoint Server 2016, SharePoint Foundation 2013. 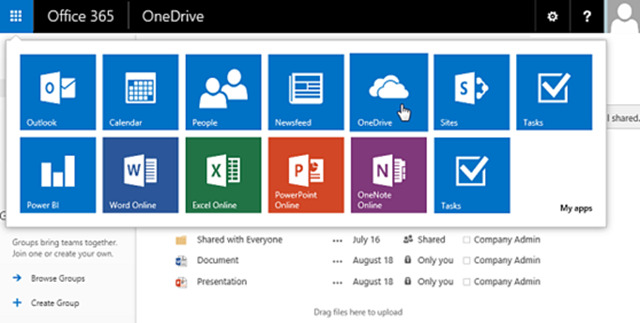 OneDrive for Business and SharePoint provide keyboard shortcuts that you can use for common tasks. These keyboard shortcuts refer to the U.S. keyboard layout. Keys on other keyboard layouts may not correspond exactly to the keys on a U.S. keyboard. (Press repeatedly, immediately after you open the page in a browser.) Turn More Accessible Mode on or off. Expand menus, such as the drop-down menu for a list item. Move to different options in a drop down list, such as the Search Scope menu next to the Search box at the top of some pages. Rich text editing is available in several locations, such the Insert tab when you edit a page on a site. Delete the selection without adding it on the Clipboard. Delete the selection, or if there is no selection, the character in front of the cursor. Delete all of the word in front of the cursor, but not the previous space. The following keyboard shortcuts are available in OneDrive for Business or in a SharePoint list or library. SharePoint is a web-based document management and storage system. It is highly configurable and has various usages between organizations. What is your favorite SharePoint hotkey? Do you have any useful tips for program? Let other users know below.